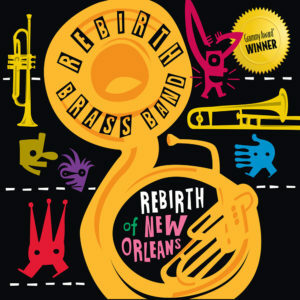 Last night, Rebirth Brass Band was honored as Entertainer of the Year and won Album of the Year for their Grammy winning CD Rebirth of New Orleans at Gambit’s Big Easy Entertainment Awards! 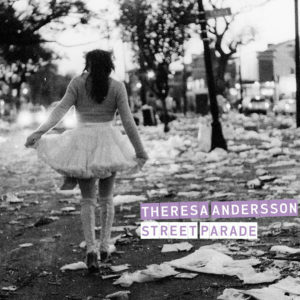 Today, we release Theresa Andersson’s new CD Street Parade! Look what the NY Times said about her new CD! Click HERE. Thursday, Kermit Ruffins will be honored on the USPS Jazzfest commemorative envelope! Friday, Jazzfest begins (April 27-May 6)! We’ll also be participating in the Sync Up Conference. Monday, April 30th at 7am join Bill Summers, Kermit Ruffins & Dr. Michael White bright and early as we participate in International Jazz Day with Herbie Hancock in Congo Square! Watch online at JazzDay.com! We support the Louis Armstrong Jazz Camp. If you’d like to name a scholarship, email us for details.